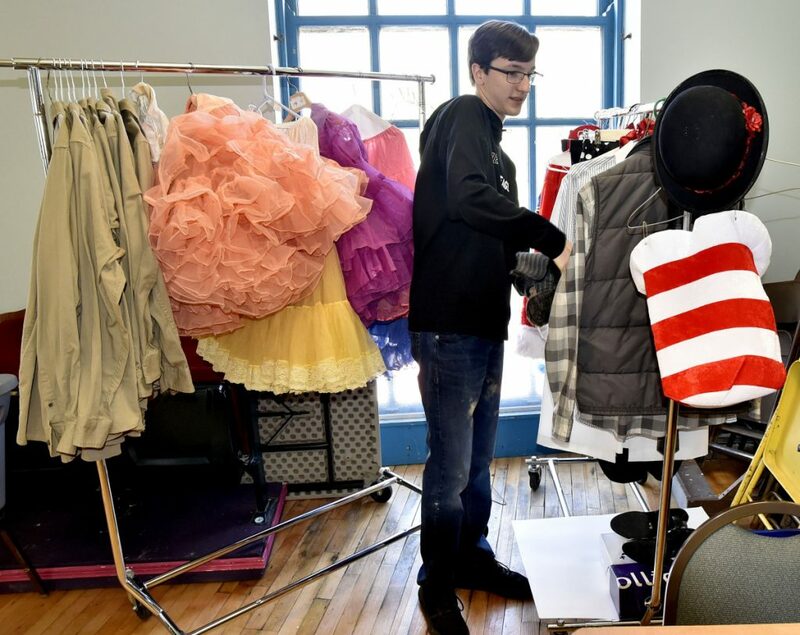 Students are designing all the costumes and are helping with set design for the Waterville Opera House's upcoming performance of the show, which is based on favorite works of Dr. Seuss. 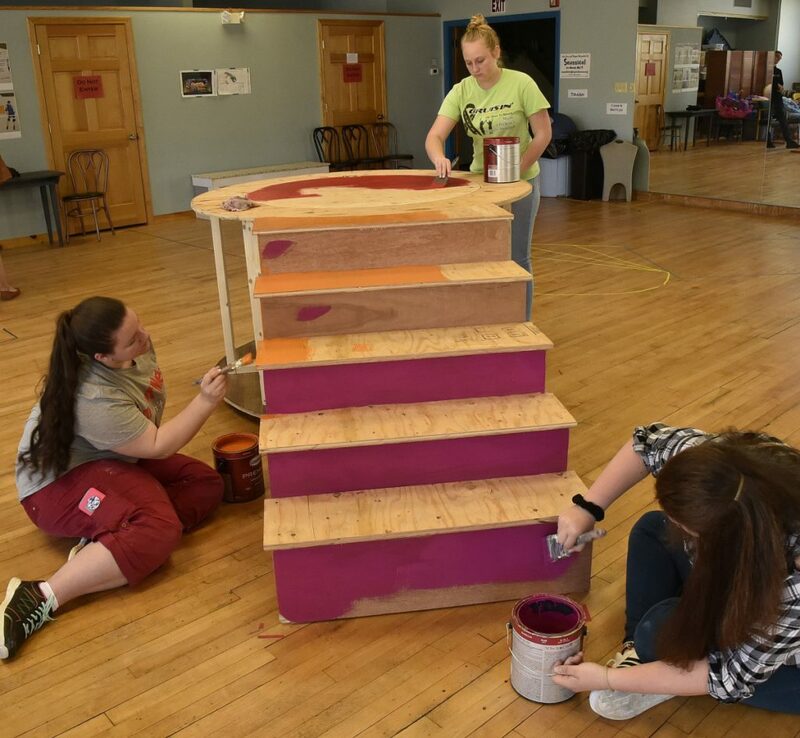 WATERVILLE — Jettah Files was painting the red cover of a large wooden platform carefully Monday morning at the Waterville Opera House, while her classmates added touches of orange, pink and black. The platform the students were working on, though far from finished Monday morning, eventually will serve as a cornerstone of the set for “Seussical the Musical,” which plays at the Opera House June 15-17 and June 22-24. The show, based on the collected works of children’s author Dr. Seuss, whose full name is Theodor Seuss Geisel, tells the fantastical tale of Horton the elephant, who faces ridicule, danger and kidnapping while trying to protect a cast of humanlike Whos. The Cat in the Hat, one of Dr. Seuss’ better-known characters, narrates the show and will jump out of the platform made by the students. The show is one of two community theater productions that students from MCI will have helped produce this school year via a partnership that provides them with experiential learning and the Opera House with over 100 combined hours of volunteer work. 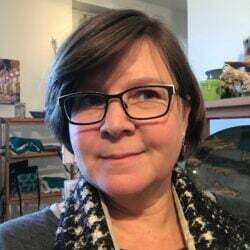 Susi typically has her students volunteer on a show at the Opera House once each semester. 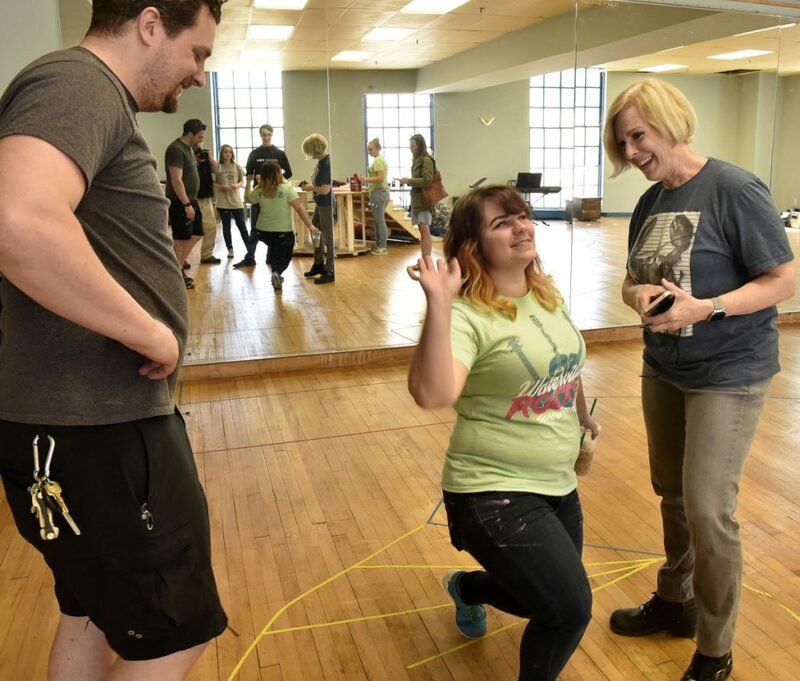 While in class they learn about set design and the technical aspects of theater, the trip to the Opera House gives them the chance to apply their skills on a real stage, something MCI doesn’t have, she said. For the first time this semester, students are designing all of the show’s costumes. The four hours they spent volunteering Monday also can be applied toward their school’s community service requirement. 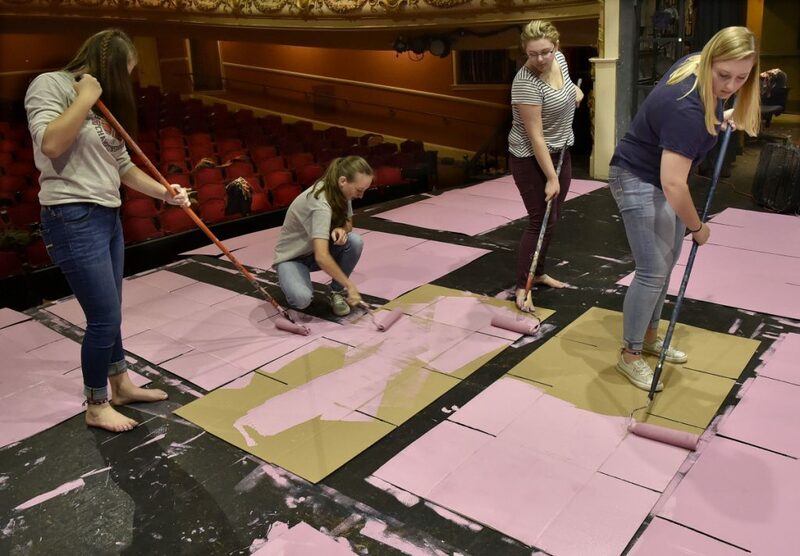 While a small group of students worked on the platform in one area of the Opera House, others were busy painting a brightly colored set on the main stage. Tardy, who hopes to one day become an attorney, is among a handful of students who will appear in “Seussical” in addition to having worked on the set and costumes.